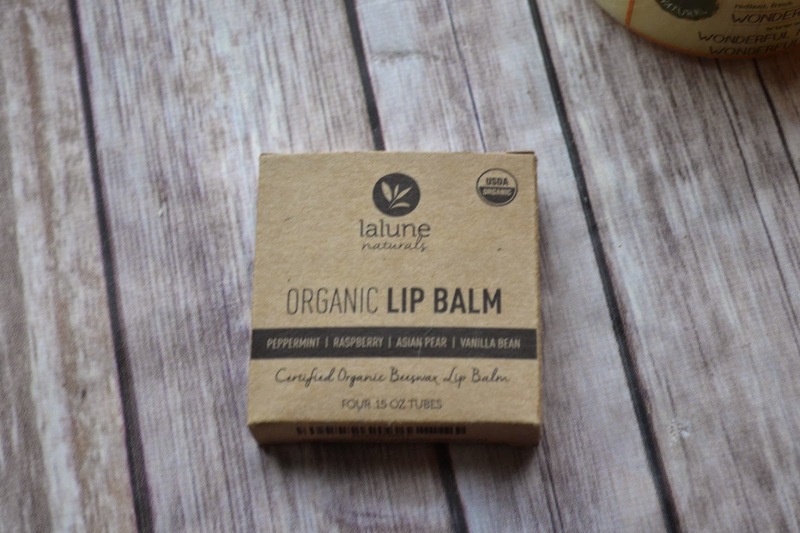 I was given the opportunity to review this 4-pack of organic lip balms from LaLune Naturals and absolutely LOVE them!! I opened the raspberry immediately - though all 4 scents sounded wonderful to me (Vanilla Bean, Raspberry, Asian Pear, and Peppermint). The texture is great - very smooth and easy to apply. The scent is lovely - not overpowering at all, just the right strength. And the best thing is the ingredients - they are all natural, organic ingredients so you can feel great about using these lip balms and sharing them with your family, friends, and children too. 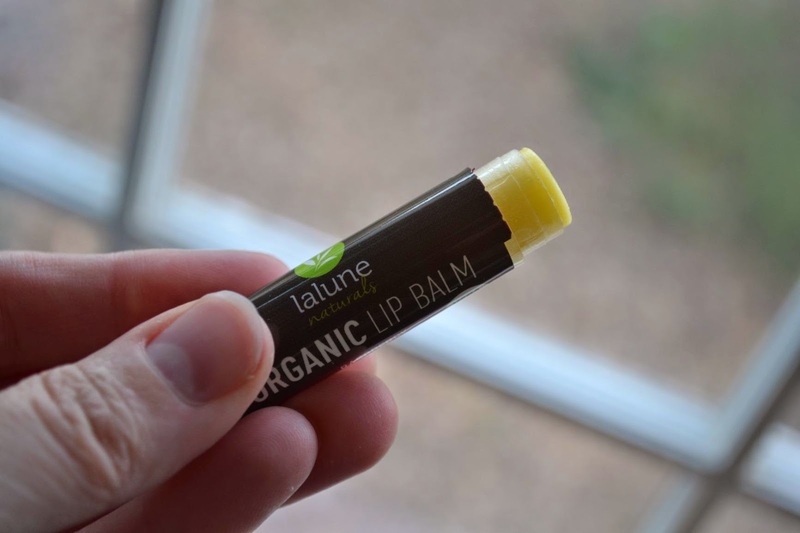 My 17-month old always wants some chapstick whenever she sees someone putting some on - and she inevitably licks it off her lips because it tastes good to her, so I feel really good about using the LaLune all natural lip balms with her! I think I will be buying some of these for stocking stuffers this December - they will be perfect for that. PURE ALL NATURAL INGREDIENTS: Organic Sunflower Oil, Organic Beeswax, Organic Coconut Oil, Vitamin E, Organic Rosemary Extract, Organic Calendula and Natural Organic Flavors. NON-TOXIC, NON-GMO, GLUTEN FREE, NO chemicals, NO petroleum or petroleum derivatives, NO fillers or No soy! 100% USDA Certified Organic Lip Moisturizer. Nourishing Lip Butter Perfect for Toddlers, Kids, Dry Cracked Lips, Lipstick base, Gift Sets. 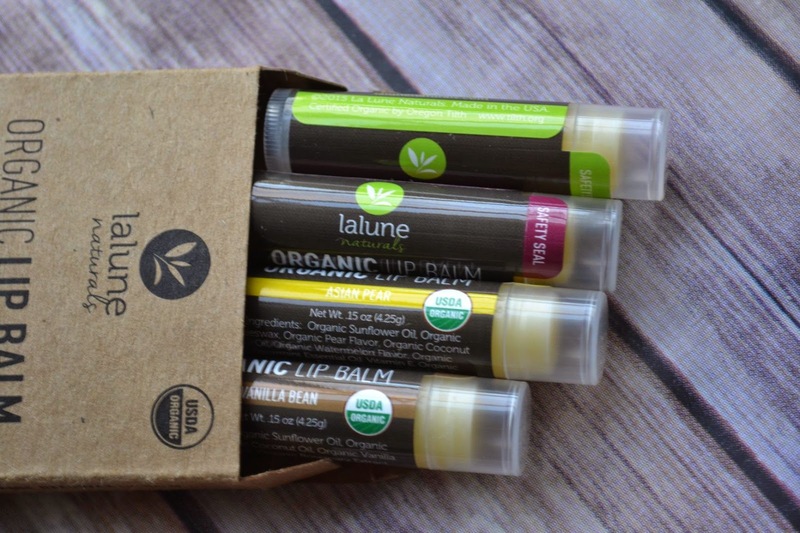 Best Organic Lip Balm for all ages! 4 RICH FLAVORS OF CHAPSTICK MULTIPACK: Delicious smells, try not to eat them! 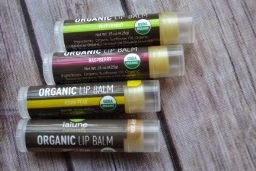 Energize your lips with our luscious Vanilla Bean, Peppermint, Raspberry and Asian Pear flavored Best Organic Lip Balms. Safe for even the most Sensitive Lips. *Full Disclosure: I received complimentary product from LaLune Naturals for the purpose of review. I received no compensation for this post. All comments are 100% accurate and 100% my own.